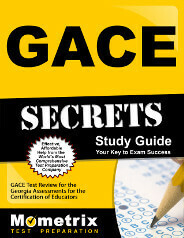 The Georgia Assessments for the Certification of Educators (GACE) Special Education Adapted Curriculum assessment test serves to qualify prospective teachers of special education in Georgia’s school system. It measures their professional knowledge through a series of questions broken into two Subtests that may be taken individually or as a combined test. The Combined Test is a computer-delivered combination of both Test 1 and Test 2. Prospective teachers are given four hours to successfully complete the 150 selected-response questions. Upon successful completion of the exam, prospective teachers will have shown their mastery of the knowledge and skills needed to perform their job as an educator in Georgia’s public school system. 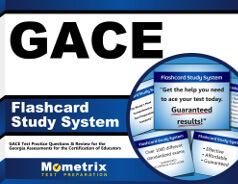 For examples of questions you may encounter on the exam, try our GACE Special Education Adapted Curriculum Subject Practice Test. To successfully pass the exam, you will be required to receive a minimum scaled score of 220. Unofficial results are available immediately following completion of the exam, with official scores being reported approximately six weeks following submission of your assessment. Before you can register for the Special Education Adapted Curriculum exam, you must receive approval from the Georgia Professional Standards Commission (GaPSC) or your program provider. Then, you may register online through your ETS GACE testing account. Test fees vary and will include a $25 registration fee and $28 test center fee.